Ooo! 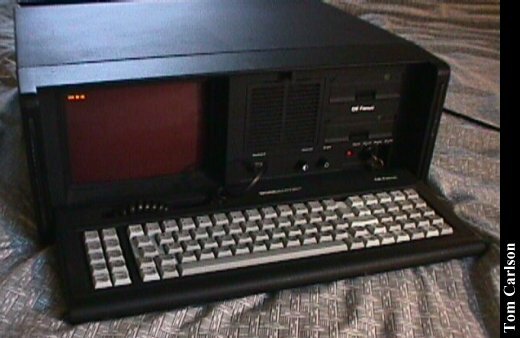 A GE Workmaster System! Pretty heavy-duty name for an IBM XT clone. 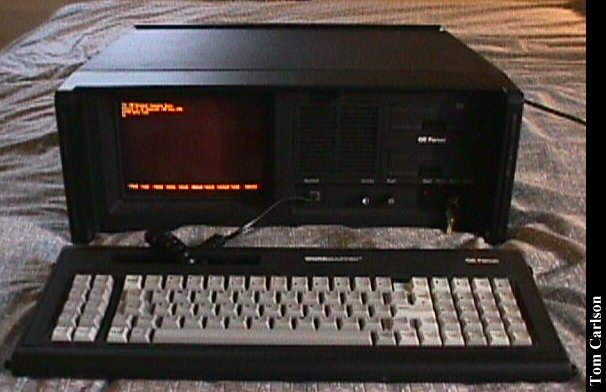 It's pretty nice, with a good keyboard, nice sharp amber monitor, 640k, and dual 3½ inch floppies. 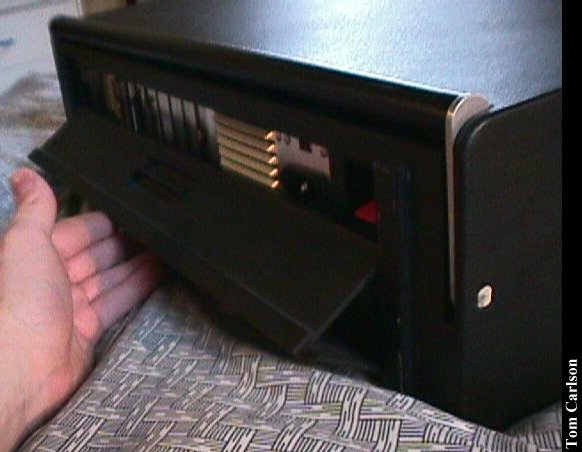 The floppies have hinged doors covering and protecting them. The keyboard can either be flipped down, yet still attached at the bottom, or can be removed entirely. The back looks like the back of a Big Blue machine, only with a GE nameplate and an extra connector for controlling industrial machines. 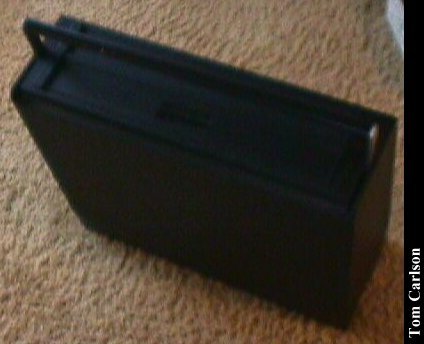 It's protected by a neat hinged cover. 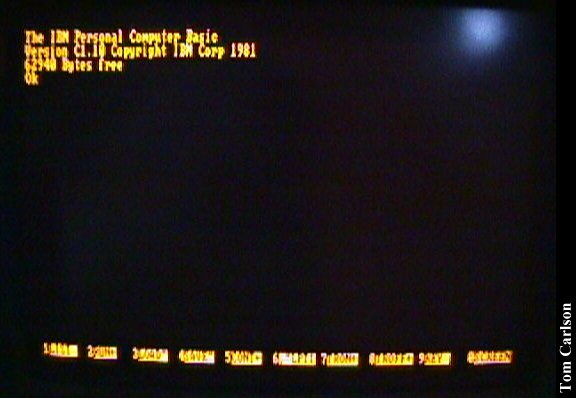 Without a boot floppy, it boots into BASIC. All in all, a very nice little system, if a trifle heavy. Back view, looks just like an old XT, doesn't it? 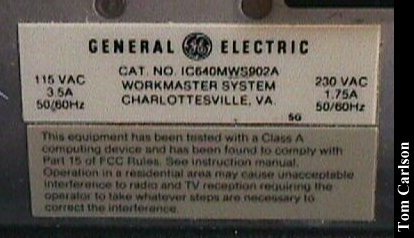 Click here to view all comments for the GE Workmaster System and to leave your own. 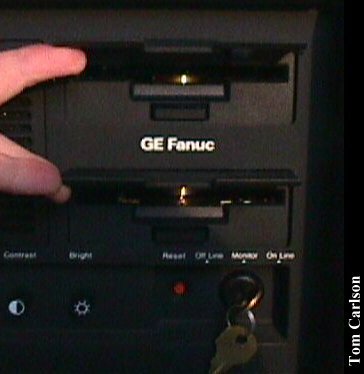 Click here to view comments about other GE computers.